Simon Says Come Rain or Shine! This week the challenge is COME RAIN or SHINE! I have taken the abstract interpretation of the challenge theme and made a card to give someone very special during difficult times. 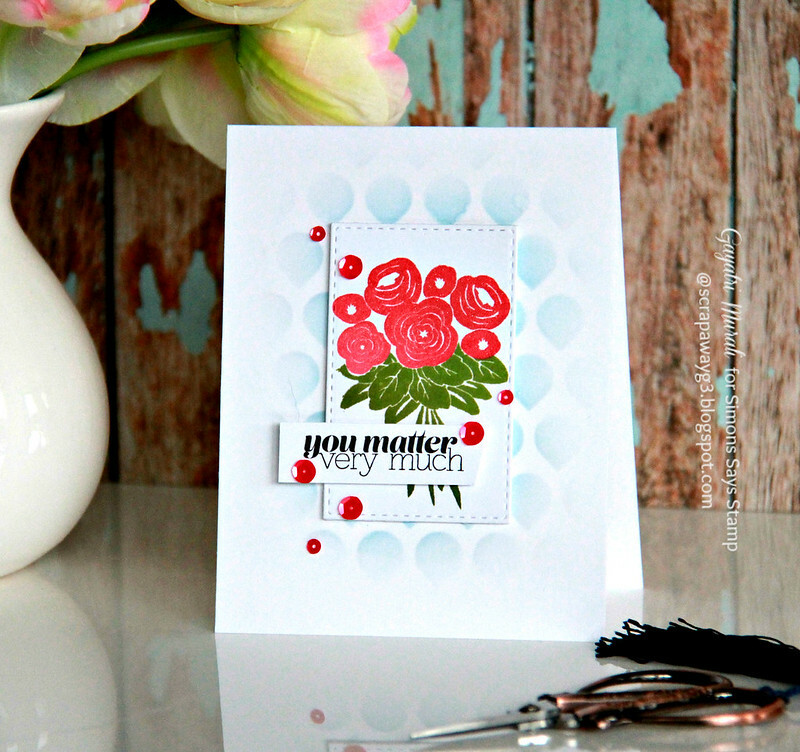 I have used the flower bouquet from Avery Elle’s Get Well stamp set as my focal point. On the background, I used Simon Says Stamp stencil called Ledger Drops and sponged Tumbled Glass and Salty Ocean distress inks fading towards the edges of the card front. I die cut the flower bouquet image using Stitched Rectangle die from Simon Says Stamp and adhered to the centre of the card front using foam adhesives. The sentiment is from Simon Says Stamp Friendly Flowers stamp set which I simply stamped on a strip of cardstock and trimmed at an angle. Finally added Raspberry sequins from Pretty Pink Posh to bring in a bit more of that pink colour from the flowers. I also brushed the flowers with clear shimmer. 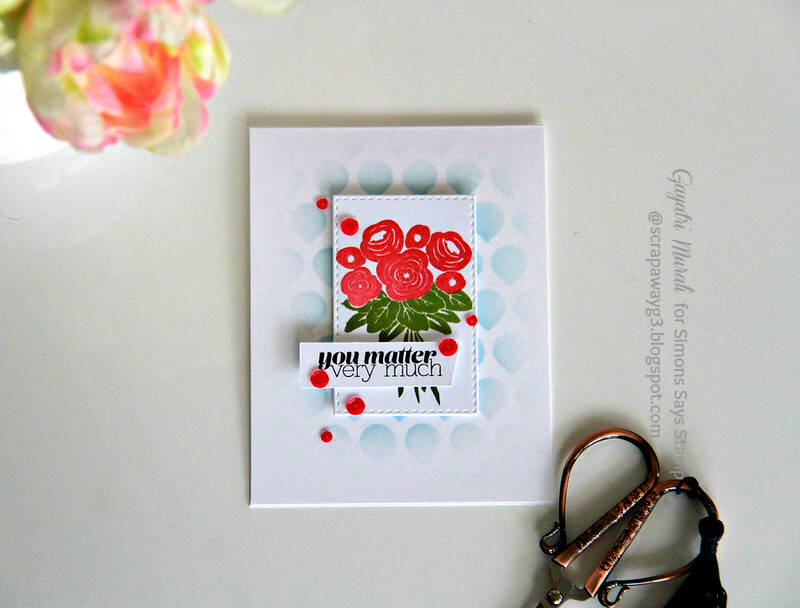 Such a lovely interpretation of the challenge, Gayatri – you've used one of my favorite AE stamps! This is very pretty! I love the background! Gayatri, a card as beautiful as this one would bring “sunshine” into anybody's life! How sweet of you to send such a beautiful creation to a friend in need of encouragement. It's gorgeous!